Smartphone vs Compact Camera: Which Is the Better Option? If today was 2008 and we were to ask you which between the smartphone vs compact camera you would go for, there would be absolutely no argument that a compact camera is the better choice. However, it has been ten years since, and smartphones have come a long way, which is why there is this intense debate between the two. 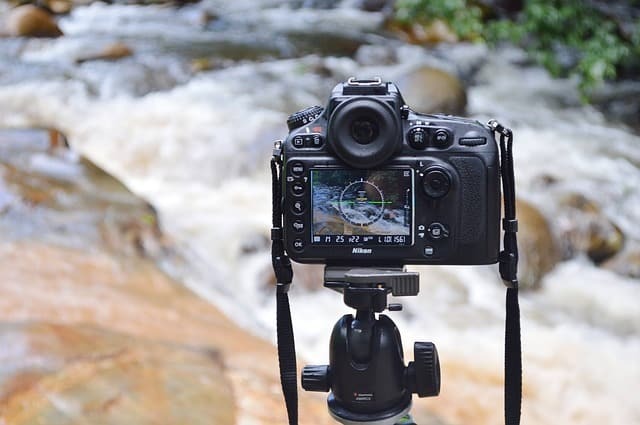 Each of them has their own set of advantages and disadvantages, and at the end of the day, it all boils down to what you prefer and how you use your camera. Then again, for those who are still on the fence, let’s discuss which between the two is the better buy. In a span of a decade, smartphone cameras have drastically evolved. One of the biggest advantages of using a smartphone as a camera is that it is extremely convenient. For an everyday photographer, using a smartphone with a high-quality camera serves its purpose. Not only will you be able to take photographs, but also use the other countless features that come along with it. There is always a possibility that you may not have your compact camera on you, but you surely will always have your smartphone. Most smartphones come with connectivity features such as Bluetooth, internet, Airdrop, Wi-Fi, and the likes. All of these features allow sharing files with absolute ease and in an instant. So, when you take images and need to share them, you can literally do so from one device to another in a matter of seconds, without the use of any wires. Smartphones also allow you to directly upload images to your social media profiles such as Facebook, Instagram, and so on. This sort of convenience is practically impossible to have in a compact camera as you will need to use a laptop or a PC to transfer the files. While it is possible to playback an image or a video on a compact camera, it doesn’t even compare to a screen size of a smartphone. Over the last few years, smartphone screen sizes have doubled from what it used to be. Most smartphone screens these days are in the range of 5.5 inches to 6.5 inches. Furthermore, these screens are high-quality, some can support 4K videos too. This allows you to see all the fine details of an image and offers an overall better viewing experience. Another great advantage of using a smartphone over a compact camera is the fact that you can edit the photos on the phone itself. The app store, without a doubt, is flooded with hundreds of apps dedicated to photography. Having these apps makes it easy to be creative with your photos or even do some minor editing work. Best of all, most of these apps are free of charge. With that said, a seasoned photographer may not find such apps to be as helpful as Photoshop. Nevertheless, nothing can beat all of these free apps’ convenience. 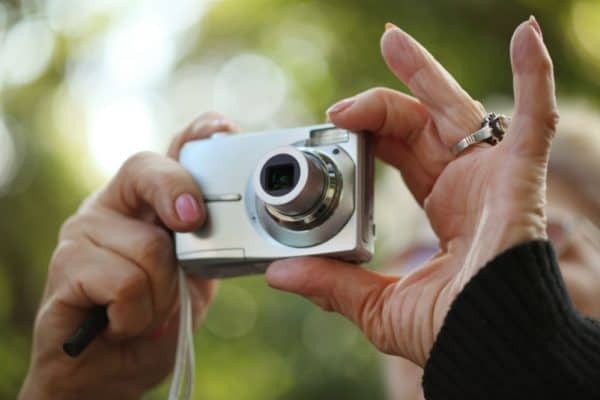 Compact cameras, or point-and-shoot cameras, have not been as famous as they once were due to the fact that smartphone cameras are becoming better each day. Although that may be the case, there are still a few who swear by the advantages that these cameras offer over smartphone cameras. While the images from smartphones are decent enough, they cannot beat the superior quality of an image from a compact camera. Smartphone cameras work brilliantly only when the subject is still and in good lighting conditions. A compact camera, on the other hand, can capture superior quality images even while the subject is in motion or there isn’t good lighting. This is because the sensors on a compact camera are far larger in size, which ensures such high-quality images in any light setting. Furthermore, the fact that compact cameras have a superior battery life also means that the flash is more powerful. Its lenses are also capable of providing a minimum of 10 times optical zoom. For a photographer, being able to control the zoom is extremely important to capture the image. This is one of the biggest advantages the compacts have over smartphones. Even the most basic compact cameras can offer around 3x optical zoom, while the high-end ones offer superzooms that can go as high up as 30x, giving any photographer complete control over the image. Most smartphone cameras come with fixed focus lenses. So, you’ll either have to go close to the subject physically or zoom in digitally, which ultimately harms the quality of the image. The purpose of a smartphone isn’t just to click images but do so much more. This results in the battery draining much faster. Compacts only have one purpose, and hence their battery life tends to last much longer. On average, a compact camera will offer you between 300 and 500 photographs for every full-time charge. There is no doubt that the cost of a compact camera is significantly cheaper than that of a smartphone. While there are cheap smartphones too, you will have to sacrifice on the quality of its built-in camera. The most high-end iPhone right now costs higher than a thousand bucks. For that price, you can already get a high-quality DSLR. Furthermore, to boosts sales, the cost of compact cameras has fallen down significantly. So, you will be spending not more than $100 for a decent compact camera, and if you want to splurge a little and buy a slightly high-end compact one, it won’t cost you more than $300. While choosing between smartphone vs compact camera entirely depends on your needs and preferences, it goes without saying that both of them come with their own sets of pros and cons. We hope that all the information we have listed proves to be beneficial in helping you make a wise decision.